What is Automated Daily Income? A Scam or Money Making Opportunity? Automated Daily Income(ADI) is another program preying on the desperate people out there who really need to make some money. The strange thing about this program is that it looks like another link posting scam but there’s more to it than meets the eye. In my review, I’ll go through the sales page just to point out the many red flags and then really see what this program is all about. If you’re thinking of earning some money online don’t believe all you read in these “get rich quick with no work” programs. To make money online takes time and hard work. Cons: Lots of hype and false claims to entice you to sign up. My opinion: Don’t sign up for this program. It looks like another link posting scheme but you are funnelled to another website which in my opinion is even worse. Raena Lynn is supposedly the owner of the program. The photo used is the same photo as on many other sites. It’s almost as if this sales page is mass produced to be used on many other sites. Some of the other names associated with this photo are Kelly Simmons, Emily Hudson, Michelle Robinson or Kelly Richards. But these are just the tip of the iceberg! I did find a different photo of Reana Lynn on 45minutespaydays.com. The sales page for this program is formatted in a slightly different way but with the same hard luck story and then suddenly she finds a way to make money. Reana Lynn seems to be a real person. She is featured on the My Online Business Empire (MOBE) website as being someone who is doing well with MOBE. She is probably using ADI and 45-Minute Paydays to get more referrals to MOBE. From the sales page, this looks like another link posting scheme. There are so many of these sites with nearly identical sales pages it’s easy to think they are all the same. Indeed, most of them are! But Automated Daily Income is different. Their sole purpose is to funnel you to a well-known multi-level marketing company known as My Online Business Empire or My Online Business Education aka MOBE. You are given the impression you will be posting links. Post some links and start making money today! That’s the sales pitch. This, of course, isn’t possible. Making money from posting links is called affiliate marketing and is a legitimate way to earn money online. But it takes time and hard work. You won’t earn anything today, tomorrow or even next week. We’ve established the ADI sales page is telling you a load of lies, but in fact, it’s worse than this. You will in effect be joining MOBE. As a member of their program, you do receive some training but then to have a chance of earning money you will have to spend yet more of your cash on expensive training products. To cap it all you will then have to sell these overpriced products to others to start getting some of your investment back. Of course, these products are very hard to sell and even MOBE state in their income disclaimer that very few people make much money with their system. Selling expensive training like this knowing that most people will never see their money back is unethical and not something you should do. These training products range in price from $2497 up to $29997! Therefore, if you only have a limited amount of money don’t join Automated Daily Income/MOBE. And if you do have some money don’t join because they will try and get everything they can from you. Learn how to build your own online business, take our FREE course. There are many of the telltale red flags that we have seen in other reviews. As there are so many of these scams around it’s worth going through them again, it may help you to avoid losing some of your money. To try and make themselves look legitimate they use these logos. Automated Daily Income hasn’t been featured on these sites and uses the logos without any permission. 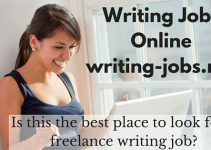 There is also a video from a news channel that features work from home jobs. But in no way do they mention this program. They just mention work from home jobs and interview people who are making money from home. The video has nothing to do with Automated Daily Income but is used to convince people that this is legit. Another often used ruse to trick you into thinking there are only a limited number of positions available. The only thing is the number never shows 0 positions left. Don’t be fooled, always take your time before getting out your credit card. As usual with these programs, there are some impressive testimonials. The only problem is you can find the same testimonials, photos and all on many different sites. They all sing the praises of the programs concerned without ever mentioning the name of the program. Meaning these testimonials can be and are used to promote many different money making schemes. What will you be doing to earn money? When you read the sales page for Automated Daily Income, you get the impression you will posting links. The make it seem very easy and say you will be making money very soon. It is possible to make money from posting links but not in the way you are led to believe with this program. Posting links or rather, affiliate marketing to give its correct name, takes time and hard work. You don’t get paid for every link you post, as ADI suggest. You get paid when people click one of the links you have posted and then go on to make a purchase. Anyways the process is a lot more complicated and time-consuming than the useless information you are given here. The worst part about this sales page is that it is completely misleading. You are really signing up for a completely different program, My Online Business Empire. You won’t be posting links at all! Once you’ve joined MOBE you have the 21 step training and upsells. To be able to sell the MOBE products you have to buy them first and they’re not cheap! You risk spending thousands of dollars without seeing any return on your investment. If you’re in any doubt that it’s hard to earn money with MOBE the Ripoff Report has complaints and the Better Business Bureau has these complaints. The BBB has even issued this warning. When you look around the internet you find stories of people losing large amounts of money with MOBE. Anything from $49 up to $40,000! The $49 price tag is to just get you into the program, once on the inside, you will be hit with upsells and you will be assigned a personal coach. Your coach, who is really a salesperson, will be out to get you to spend more money. If you haven’t got the money they may suggest paying with several credit cards, taking a loan or even selling your car. They don’t care about you or your financial situation, they just want to make their own commissions and earn money for MOBE. When I landed on the sales page of ADI, I thought it was the same as the many other of the link posting schemes that are found online. However, Automated Daily Income is no more than a funnel for MOBE. You should steer clear of the link posting programs but I think this is even more dangerous! Why does MOBE need to use a deceitful sales page to get people into their system? They are enticing people into their program without them knowing who or what they’re getting involved with. MOBE have a lot of bad publicity on the internet. By using programs with different names, ADI or 45-Minute Paydays, perhaps some people will sign up thinking the program is legitimate. The initial price of $49 may seem tempting but before you can earn any money you will have to spend much much more. A program to be avoided! If you want to learn how to make money online there is a legitimate course, that I recommend, that allows you to join for free. You can then try the course to see if it’s a good fit for you at no risk. If you like what you find you can then sign up as a premium member. With this course there are no salesmen hounding you to buy more products, there is no pressure to spend more, you are free to do as you think fit whenever you like. That’s the way it should be! If you’ve had any experience with Automated Daily Income or MOBE, please tell us about it in the comments section below. 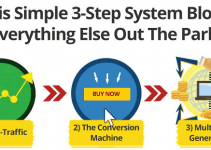 Two Dollar Click Review – Is this a scam or legit PTC site? This was a very well written review. I liked that you used graphics to highlight your points. This should help anyone coming to your site to look for legitimate programs for making money online. It is good that you spell out what to look for to prevent getting scammed. There are so many out there just waiting to prey on unsuspecting people looking for income making opportunities online. It is also great that you recommend another legitimate program to help them out. Yes, Automated Daily Income is like many other programs to be found and they all use the same old tricks to get your confidence and put you under pressure to act quickly. Much better to accept that making money online will take time and effort. Join a good training program and keep working until you start making money but give it time! The first clue should be “spare 60 minutes a day to make 379 a day.” I don’t know how this is even possible in any new online business venture. When you’re desperate, sometimes you know in the back of your mind that you’re paying for a scam, but in your desperation, you pay anyway in the hopes that just maybe this just might be real. Sad situations and low lives taking advantage. I know Dan, claims like this are so far-fetched it’s easy for people who think about it for a couple of minutes to see that it can’t be true. However, if you’re really desperate, you see the limited positions and a couple of the other red flags like the false testimonials and the logos of news agencies then you might be ready to believe it. We see pressure tactics used by so many, even legitimate, internet marketers these days it’s easy to be taken in. I think the best advice is to always take your time and if possible ask someone else for their opinion. And if it seems too good to be true it probably is! I would really like to thank you for writing this post which will save so many people from scam programs like MOBE. We need to be very careful these days as internet is full of such scamsters who just want to siphon off our hard earned money without making any real effort except for making such false claims. I am sure this post will save a lot of people from being scammed. That’s the purpose of the post, Alok, to protect anyone who’s desperate enough to think this is genuine. But the problem is that many people still don’t check for reviews online to find out if a program is legit or not. So they will still get caught! Thanks for reviewing this course for us. Man, the moment I saw that X number of positions left, my Scam alert was already on. And the testimonials are actually copied from another program, ADI is definitively, as you said, preying on folks who are new to making money online and are kind of desperate for the right information. Yes Anh, the pressure tactics, and false testimonials are something that’s often used by these poor programs. For anyone interested in earning money online they must steer clear of these programs that promise easy money. As you very rightly say to be successful online you need to put in the work and time. If you have the right mindset then with the right training and support you can be successful.